Web Wednesday : A Facebook First! In support of social networking as a valid advertising channel, we invite you to enter Web Wednesday's first Facebook contest, with prizes sponsored by the our friends at SCMP.com, who 'make China make sense'. "I can't live without my daily fix of ... because...". Respond by posting your answer to the Web Wednesday Group in Facebook in any media format you desire - text, audio or, for the more daring ones, video. (You'll need to join as a member of the group first). Closing date is 12 noon on Monday 27th August. The winning entries will be chosen by Peter Dedi, Editor of the SCMP.com. Prizes will be awarded at the next Web Wednesday Event on 29th August at the Bohemian Lounge, 3-5 Old Bailey Street, Off Wyndham Street, Central, Hong Kong. 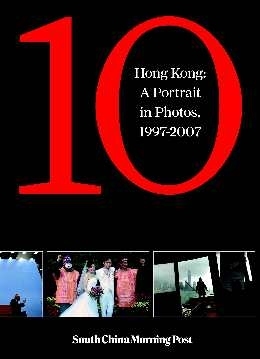 Top Prize: "Hong Kong - A Portrait in Photos, 1997-2007". One picture book of 10 years of life in Hong Kong since the handover. Second & Third Prizes: "They Mean Business - 50 Exclusive Interviews with Hong Kong's Top Executives". An insightful book written and signed by Enoch Yiu, Chief Reporter at the South China Morning Post. 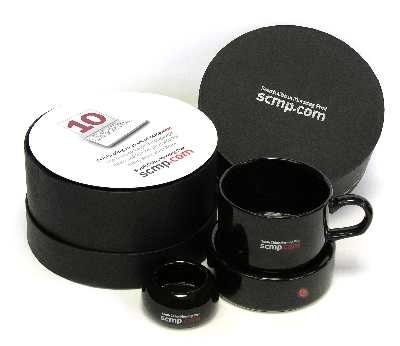 Runners Up: three award-winning SCMP USB mugs, to warm your tea during an aircon-induced Hong Kong winter.